In many ways, the Trump administration's action directly parallels the steps it took with DACA. Trump and DHS cancelled both programs, but with an effective date many months away. The administration then said "Congress can fix any problem if it needs to be fixed." Do not blame the administration. Blame Congress if there needs to be any permanent fix." The Salvadoran Foreign Ministry vowed to work with allies in Congress to get a legislative fix to the end of TPS. While there are currently bills introduced in Congress which would offer green cards to TPS beneficiaries, it is not clear that there is sufficient political support to pass them. In El Salvador, the government seized on the grace period as a form of victory. 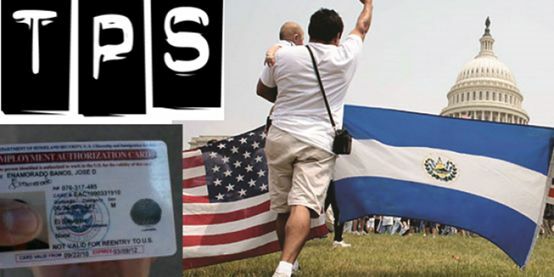 President Salvador Sanchez Ceren issued a statement which characterized the 18 month grace period as an "extension" (prórroga) of TPS for Salvadorans recognizing their important contributions as a work force in the US. The FMLN called the grace period a prórroga and labelled it an "achievement" of the government. The president and his party were widely chastised on social media for such a characterization of the cancellation of the program. The Salvadoran Foreign Ministry tried to pat itself on the back by asserting that the 18 month grace period before Salvadorans with TPS must leave was the longest the US government had ever created when terminating the status for a given country. Meanwhile, various ARENA politicians blamed the loss of TPS on the FMLN, asserting that the left wing party poorly managed the relationship with the US and was irresponsable in its statements about Washington's role in the world. Salvadorans with TPS will be required to re-register for TPS and apply for Employment Authorization Documents in order to legally work in the United States until the termination of El Salvador’s TPS designation becomes effective Sept. 9, 2019. It should be noted that re-registering in this fashion will help DHS to have an up-to-date address list when it comes time to deport people in 2019. Los Angeles Times: Trump order upends future for a generation of Salvadorans who now must leave U.S.